I’m Pip Lincolne. I’m a writer of things crafty, pop-culture-y, life-y and parent-y. I live in Melbourne and spend my work days writing for my bread-and-butter job – and the rest of my time writing books and this (11 year-old) blog. I think about food way too much, love making things, drink too much tea and spend a lot of time messaging my kids (who are not actually kids, but in fact three grown people aged 18, 22 and 30, but they are still my bayyyybeeezzzz so shooooosh!) inane things. Welcome to Pip Lincolne’s blog Meet Me At Mike’s, a sometimes daily dose of happiness and inspiration. 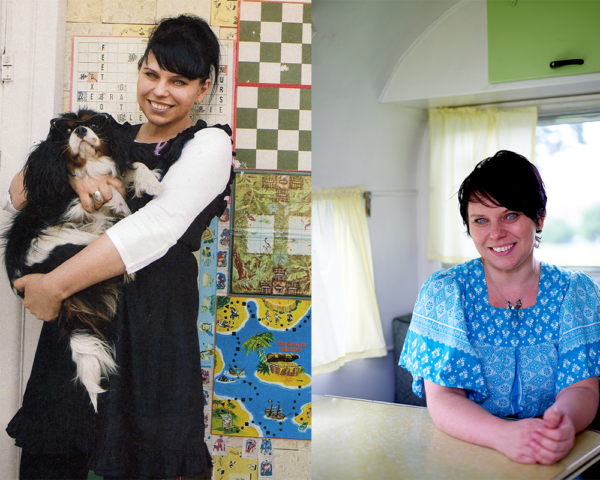 Pip Lincolne is a Melbourne based writer and crafter. She’s published five books about creativity and making things and she would like to write a whole bunch more. She’s Frankie’s craft contributor too! She has three kids and a love of toast and tea. Pip likes to make and write every single day. In 2016, Pip was part of the activities surrounding Ai Weiwei and Andy Warhol’s exhibition at the National Gallery of Victoria. She ran five days of kids’ workshops – and helped thousands of families make Wishing Flowers. 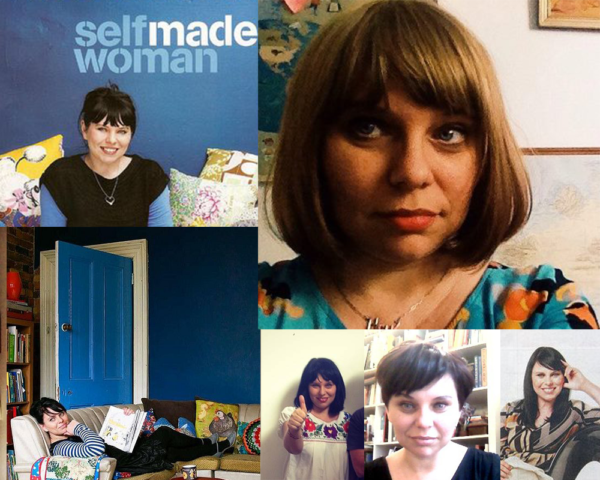 Pip was Etsy’s Creative Courage Mentor in late 2015 – mentoring hundreds of creatives keen to build or improve their Etsy stores and creative lives. Pip’s exhibited at Wangaratta Regional Gallery (The PomPom Diaries) and has undertaken a weekend residency and workshops at Bundaberg Regional Art Gallery. 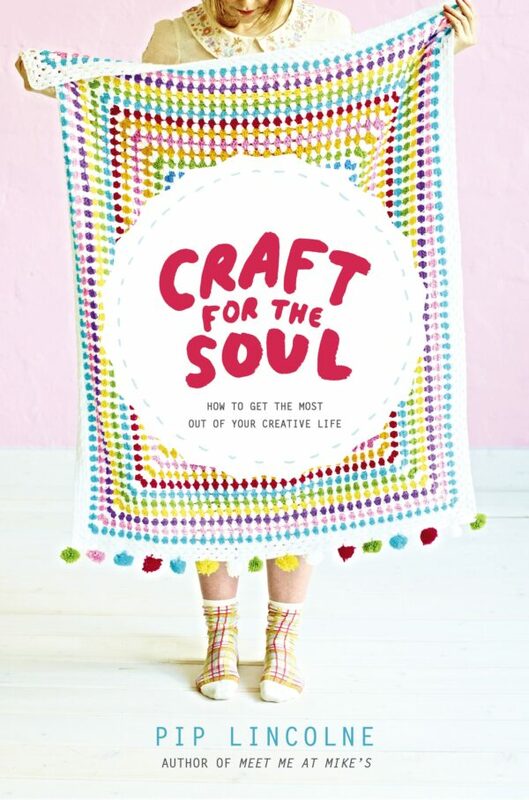 Pip co-hosts Crafternoons with Clare Bowditch on 774ABC (Melbourne radio) on a semi-regular basis! Watch some lo-fi videos of Pip here! See a few press clippings here. Founder of blogging portal Blog Yay! Pip was also a craft and business coach at Clare Bowditch’s Big Hearted Business Creative Retreat in Ubud, Bali – September 2014 and November 2014. The Age (Melbourne) Magazine, The Age M Magazine, Mollie Makes, Cleo, Madison Magazine, Cosmopolitan, Inside Out, The Design Files, Decor8, Frankie Magazine, Peppermint Magazine, The Sydney Morning Herald, Notebook, House and Garden, Herald Sun, The Australian Women’s Weekly, Dolly, Marie Claire, Michigirl, Jetstar Magazine, The Canberra Times, The West Australian, American Express Magazine, The Melbourne Times, Australian Parents Magazine and more. The Age (Melbourne) Magazine named Pip one of their Top 100 Most Influential Melbourne people in 2009. Cleo named Pip as ‘Cleo’s Next Top Blogger’ in 2009. And Cosmpolitan nominated Pip as one of their Women of The Year in 2009. Pip has appeared on 3RRR, Radio National, ABC Melbourne, ABC Perth, ABC Sydney or ABC Queensland. Pip has appeared on The Circle, on The 7.30 Report piece about Frankie and in Anna Brownfield’s film ‘Making It Handmade‘. Find Pip on Twitter and Facebook and Instagram too. Could you please tell me where to look for the toys that people made for 2017-2018, every year I have the same problem. Thank you Pip! I’m very glad to find you on the web and now I can start my snuggle stitches blanket with the aid of your really clear descriptions! Again thanks and good luck. So can we buy the earrings or do we have to make our own? That’s great. Please never give up trying. Success comes through hard work and constant effort…. Nobody can do a better job than you…. The sole parts of your body that don’t score a strike in sabre fencing would be the again on the head, arms and wrist, and beneath the midsection. Double touches are prohibited. For the reason that aspect touches are authorized, fencers need to adapt…. This video post is really great, the noise feature and the picture feature of this video post is genuinely awesome….